When I got the e-mail from Lee-Tai wrote to me, she wrote” This note is also to let you know the sad news that my father Valery de Beausset has passed away at the age of 94 on October 18th. He was always grateful for the book you wrote about his work in Taiwan.” I was shock to get this sad news fall into the remembrance of how I met Mr. de Beausset. In the document, I found Mr. de Beausset was the J.G. White Co. Taipei manager and play a very very important role in Taiwan. So, I try hard to find the contact way. First Four-Year Plan: Why not 5 or 6-Year Plan? In KTLi’s page ( http://ktli.sinica.edu.tw/ktli1.html), it said KT Li compiled and revised first Four-Year Plan. But in Taiwan National Archive, I can’t find any piece of material that showed KT Li do this job. Only one meeting memo “Conclusion reached in the meeting on ‘Progress Review of FY1954 and FY1955 Industrial Program’ held on 09/17/1954” show he is the meeting chairman. So, who do this most important thing in this crux time? Remold Taipower: The J.G. White Engineering Corporation use The Development of Taiwan Power Co, assets re-evaluation, power rate adjustment, converse the accounting system. Pre-war, Taipower is a healthy and famous company, postwar it became unhealthy. After the remold Taipower, it change and even change the Taipower’s culture. Found the Tunghai University: Mrs. V.S. de Beausset (Connie) was a member of Meeting of the Board of Directors of Tunghai University. Found the Tunghai University has 7 Committee, Connie in Buildings Committee, Equipment and Library Committee and Honorary Secretary. 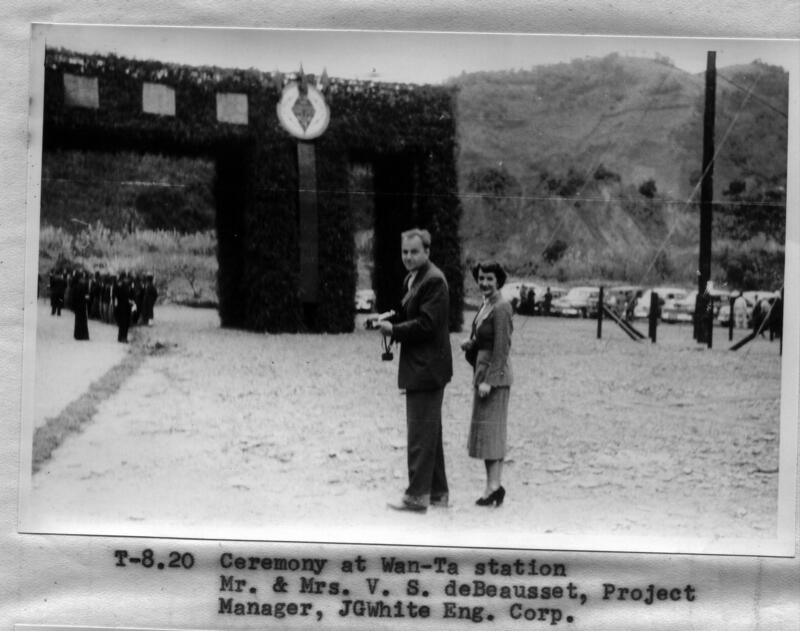 Vice President of US, Nixon went to Tunghai University to give a ground-breaking ceremony, was arrange by Mr. V.S. de Beausset. So, they play an important position in found the Tunghai University. And weak from strong But what can WE give you in return? 本文發表於 2009-10-26 at 12:20 下午 且歸類為 台灣, 文化批判, 林炳炎, 美援. 你可以發表回應於 RSS 2.0 feed. 你可以 留下回應, 或 自你的網站引用. I’ve been deeply sad that I heard Sir de Beausset, your beloved father passed away. Please convey my consolatory greetings to your mother. She is our Taiwan treasure. We hope she can see our Taiwan independence and join UN. May the Lord bless your family and embrace Sir de Beausset in His arms! Again, much gratitude goes to your father. 據了解NTU Library也在第一時間由Lee-tai告知此一難過的訊息, 也送上了弔電. 我覺得像他及當年這一群有正義及道德感的美國人, 對台灣的貢獻是非常大的! R.I.P. I feel like Sir de Beausset, and then this group of justice and morality of Americans, gave the contributions to Taiwan are very large. Kindly accept my heartfelt condolence on the passing of your beloved husband. May our load bless his soul in eternal peace and happiness. Sir Valery de Beausset passed away is a shock to me. Kindly accept my heartful condolence on the passing of your beloved husband and father. He devoted his life in helping Taiwan(Formosa). May the Lord bless your family. To thank Mr. de Beausset and his team in those years to defend Taiwan and has the great contribution. All the things done carefully must leave their traces. This is very sad news, Mr. Valery S. de Beausset deeds worthy of gratitude for all the people of Taiwan and nostalgia, I hope he rest in peace can be heard these voices. Although the body into a distant dust, you leave footprints will be deeply imprinted in the land. We hope NTU to open these documents as soon as possible, and even as soon as possible to digitize and provide all online searches, to restore the truth of U.S. aid period of Taiwan’s economic development. The impact of U.S. aid to Taiwan during the past always said in the economic and military, especially the number of funds and materials, but it is likely the system innovation and the indirect effects of ways of doing things (renders the impact or boycott of bureaucratic system of the original) it is making an important factor in the economy can take off. When I knew the things that made by Mr. de Beausset, feel that my heads burst by thunder. This is what I’ve always wanted to know, the school never to tell you those thing. Given me the chance, I will, the story of Mr. de Beausset, constantly telling people around. 其實1000件左右的文件在20070517狄卜賽文書台灣公開典禮(Open Presentation of V. S. de Beausset’s Collection)之前更早, 數位化工作已經完成, 會出問題是光碟製作時, 有王, 廟公等人參與, 才會發生把Indira(在印度出生)及Lee-Tai(在台灣出生)兩姊妹澈底從台灣民眾隔離. The book 《V.S. de Beausset’s Order of Brilliant Star (1949-1957)》 is a very important book and literature. A successive post-war reconstruction of Taiwan’s modernization hero is Mr. de Beausset. Please also note that USAID. USAID not just the early post-war reconstruction of the main body of Taiwan in 2009, when the Typhoon Morakot, but also the first to appear in Taiwan’s aid! This is the United States Show the Flag. This meaning is not discussed a great pity. 根據此案是國科會的預算, 它有結案日期!2007年5月就對社會公開發表, 那顯示這案在2007年就是結案年, 台大沒有理由繼續玩下去, 這是要依據美援所引進「藍圖制」(日本時代就有)的精神! !而會計年度一終了, 就是結案, 如果沒作完要辦理保留預算, 我們期望台大應該對外說明, 不能一直以「編目中」搪塞, 如果還在「編目中」, 請公開保持預算簽准公文. 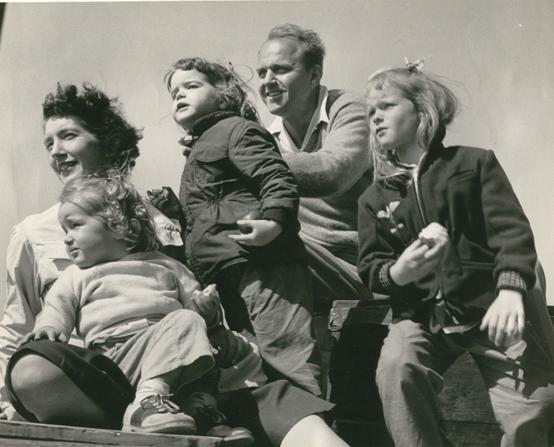 Mr. de Beausset and his family members are certainly the NTU library, the best destination for his collection of information at the period of U.S. Aid (1949~1957). His family feels that Mr. de Beausset is the growing body decay. Hopes that Mr. de Beausset couples lifetime, they can watch the completion of the disposal of the information collection. Mr. Lin is therefore authorized to negotiate with the National Taiwan University Library. Led to donate this Collection in April 2006 and complete the transfer possession from Mr. Lin to National Taiwan University Library. Finally, as the wish of Mr. de Beausset,「Collection of Mr. V. S. de Beausset」 get a well-being “home”. 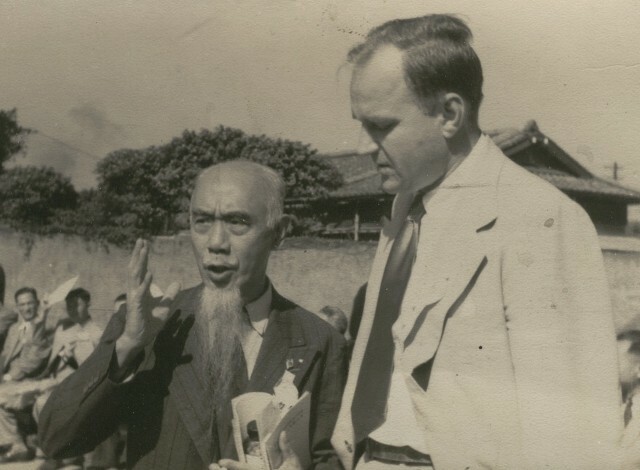 Although I did not recognized Mr. de Beausset manager, but he worked hard and assisted Taiwan, during the period of U.S. Aid (1949~1957). The Taiwan occupied authorities, K party, deliberately ignored those histories. In particular, the child of Y.S.Sun. In order to put him into a God in Taiwan, serious distort the facts. Some knowledgeable people should be rigorously condemned. And hope that the truth of the early open to the social. From 1946 to 1948, Mr. de Beausset worked for Intercontinental Corp. in Travancore, India, building a fertilizer factory. From 1948 to 1958 he was the director of the engineering division of J.G. White Engineering Corp. for the economic development of China. 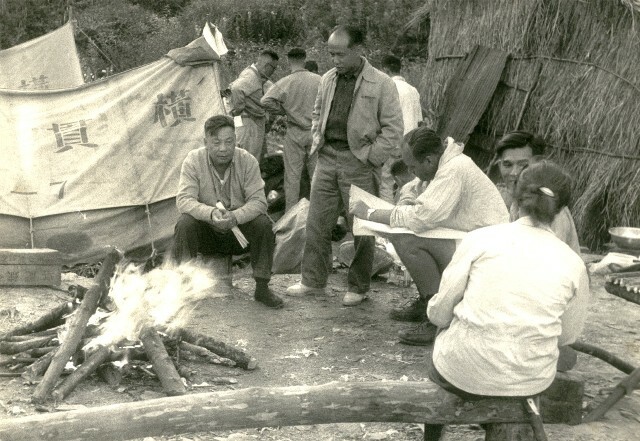 When Shanghai fell to the communists, he moved his team to Taiwan and his family joined him there. 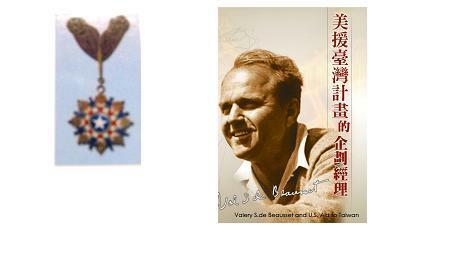 He was decorated with the Order of the Brilliant Star from the government of Taiwan in 1957. 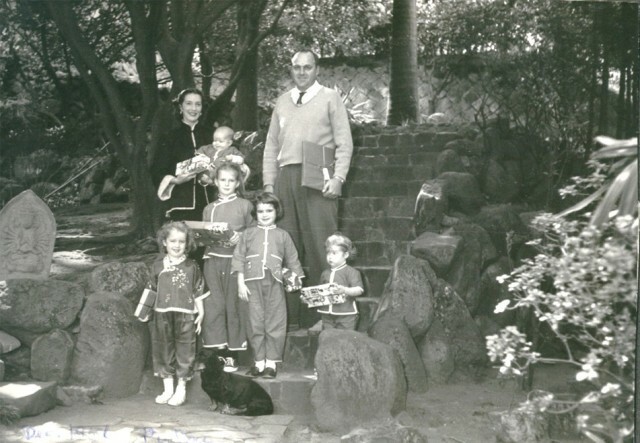 From 1967 to 1974, Mr. de Beausset was a consultant for the development of Mexico, Bolivia, El Salvador, Ecuador, Colombia, Venezuela and Costa Rica and adviser to the president of the Central American Bank of Economic Development. From 1979 to 1988, he was a consultant for the Agency for International Development to the government of Honduras for rural development. By Lee-Tai e-mail to me now, and I feel pain in heart is still endless and did not return to normal condition. The most made me feel guilty that de Beausset manager then trust me, would take his precious collection to me, and I promised to donate to research units. In fact, I can put that information as a money tree, sold. But I did not do so in full accordance with de Beausset manager’s desire to donate to the tournament. Library of Taiwan University is not open to researchers to use, now it is recommended de Beausset family should be asked for a copy as a memento. Reading these comments again, I want to thank everyone for their heartfelt words for my grandfather. It was incredible to see that people had found their way to my blog post all the way from Taiwan, and that his contributions are still valued, today. I’m proud to say I was born and raised in Guatemala, one of the few countries in the world that still recognizes Taiwan’s independence. With the rise of China, I truly do believe that much of humanity’s hope rests in a free and democratic Taiwan. I hope that I will be able to visit someday. If you try to visit Taiwan, please feel free to write on this page. I or Mr. Chen can give you some idea and I will be your guide.